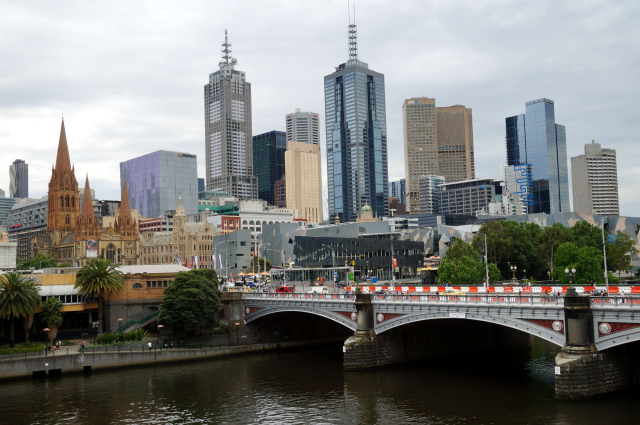 The Central Business District rises above the Yarra River. Gold was discovered northwest of Melbourne in 1851. What followed was the greatest gold rush the world has ever experienced. The amount of gold that came out of this region was greater than all the gold found in all the goldfields of western North America. The Marvelous Golden Era followed the gold rush in 1880 when the children of the gold rush entrepreneurs spent their inheritance. In 1880 Melbourne was the richest and most opulent city in the world. Melbourne is very clean, safe, and hospitable. Tomorrow we fly to Hobart – capital of Tasmania.